Here is a great way to hold onto those special moments – the ones you want to last forever – the birth of a baby, graduations, weddings, anniversaries and holidays. How many of you have captured those moments in pictures and now they are tucked away in albums or maybe a few of them are in frames? I always envy those who artistically share their photos, and especially those who change up their pictures as the years go by…. I love the fact Thirty-One has opened up a new world of possibilities for you (and me) to share our favorite moments with Photo by Thirty-One. 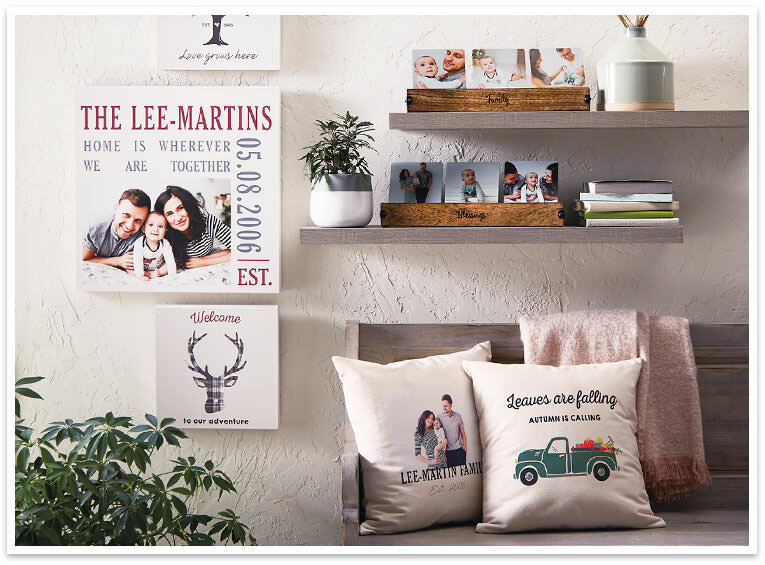 You can place your favorite photos on an array of products from home décor to jewelry to commemorate a special moment, tell a story or create a personalized gift. It’s lets you decorate your home with comforting images and keep memories alive for everyone in your family. Anyone invited into your home will instantly see the strong bonds you share with your family and how much they mean to you. And for you, it’s a constant reminder of the good times you’ve shared together. Life is a journey. As your story continues to change and grow year after year, you want to keep up. 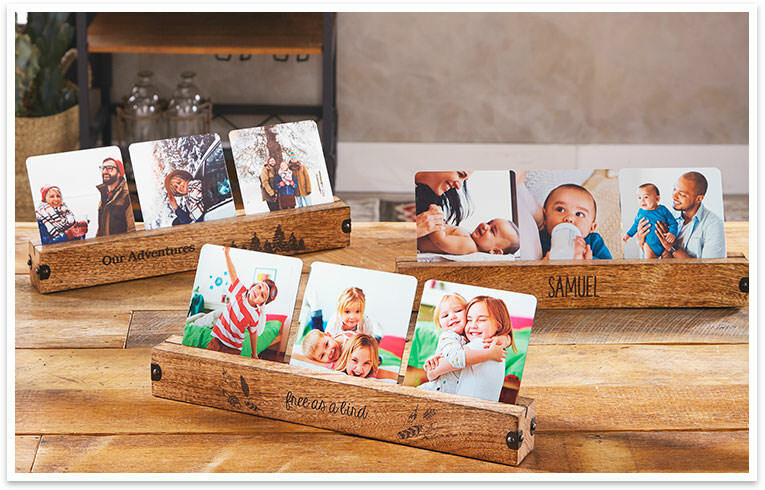 The Close To Home Table Gallery and Photo Inserts are perfect for tracking the lives of our kids or grandkids or fur-babies from babyhood through school years and beyond: a marriage, an annual family vacation, successive birthdays or anything you want to commemorate. The Table Gallery holds up to three square Photo Inserts you can customize with your favorite photos. The natural wood base can be personalized with a name, short phrase or other saying (up to 16 characters) in the design of your choice from our Simply Etched personalization options. You can either buy another Table Gallery to add to your story or opt to switch out inserts to keep your story current. It’s totally up to you, but whatever you decide, you’ll find easy step-by-step instructions for submitting photos below. Tip: Start a family tradition by designing a custom photo gift, then gifting new Photo Inserts for each holiday or celebration! I remember one of my Grandmother’s favorite pieces of jewelry was a necklace with a picture of her and Belinda. She wore it every day and when Alzheimer’s took most of her memories, she still held on to it. Her “little princess” was always close to her heart. You can do the same with a Just Write Large Circle Charm. This is customizable photo charm which makes a great gift for a daughter, granddaughter, sister or friend! You can express your special mother-daughter bond, sisterly love or best friends forever status, the Just Write Large Circle Charm is a gift with endless sentimental value. You can add more jewelry charms to trace your history through the years together and keep your story going. Tip: No kids? No problem! Snap a shot of your adorable pet to keep close to your heart on a gold-tone or silver-tone Charm Catcher Necklace. Home is where the heart is, but it’s also true of memories. We hold fond memories close to our hearts, so what better place to display those happy times than in the place we spend most of our time? With our Statement Canvas Wall Art and Statement Canvas Pillow custom home décor, you can cozy up with your loved ones in your family room surrounded by the lasting memories you created together. Add text to any throw pillow or custom wall art piece to further commemorate the special occasion depicted in your family photo. Need a great gift idea for a wedding, birthday or graduation? Any of these products are a thoughtful choice. 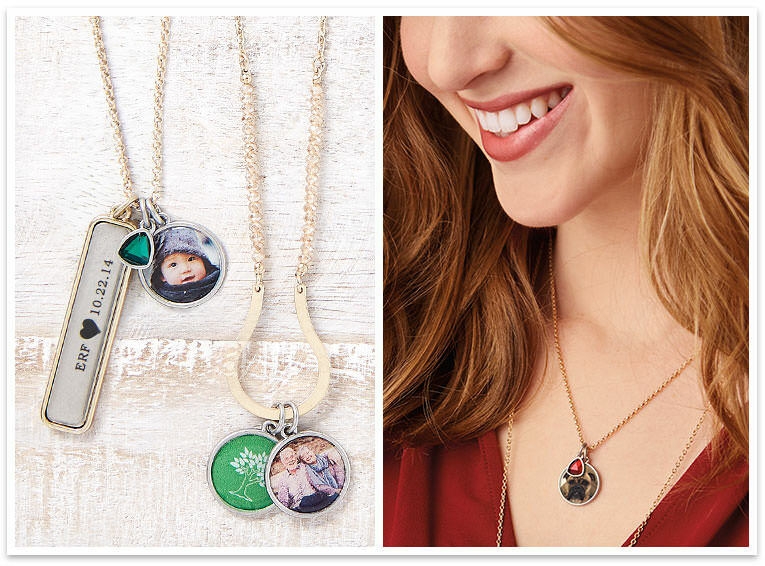 Photo by Thirty-One instantly turns an ordinary gift into something special and unique – one that’s attached to treasured memories. Tip: For a fun display or great kid, grandparent or teacher gift, scan in some of your child’s artwork. Place it on our Statement Canvas Wall Art or Statement Canvas Pillow for a budding artist’s gallery! Ready to start your photo journey? Just choose your product and design, upload your photo, adjust it to your liking and add a meaningful message. When I joined Thirty One in February of 2011, this is what my $99 kit looked like. Believe it or not, I still use the large utility tote for vendor events. I will admit, the prints were not my favorite but I made it work because I was looking to get product at a discount. In October of 2018, Thirty One will be in business 15 years! It has come a long way from the early days in Tennessee. It has grown into one of the top direct sales companies in the country. Yes, you caught me, this is an offer to get your holiday shopping started coupled with a chance to make some money this holiday season. Yes, it is possible to do both for probably less money then you think…. The value of the product alone is $120, now you won’t find this kind of deal on Black Friday! Plus you will get all of the business supplies you will need to collect orders and earn some money as well as additional credits for business supplies or products. 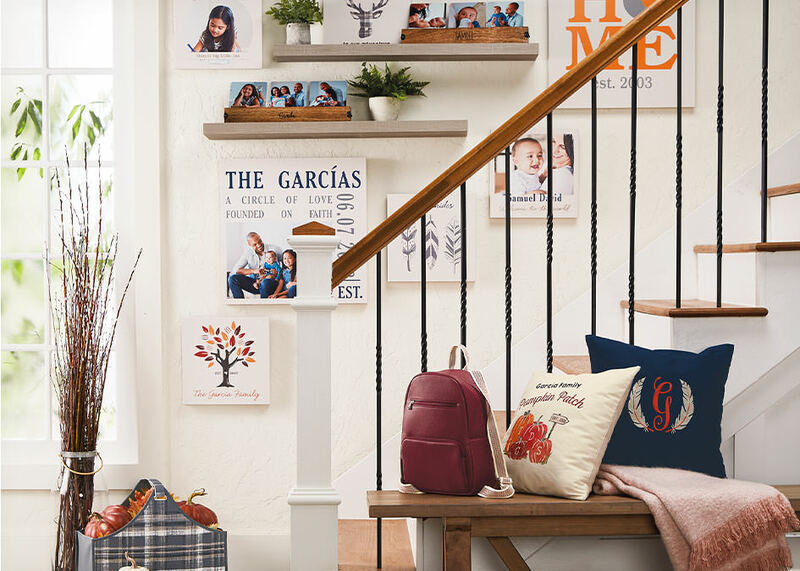 Whether you are looking for some extra money for the holidays or some girl time (or me time) or you just want to get discounts on the products… Thirty One has a place for you. Will a part-time job this holiday season let you party on Facebook, use your products so you can show them to everyone and then pay you for helping your friends and family shop? For just 4 hours a week, I am teaming up with other leaders to help my team earn $1000 for their holiday shopping. Let’s see it is about 32 hours for $1000 which means it is about $30 per hour. Where can you work and get paid like that? Ok so you don’t need the money but you do need to get out of the house so why not gather a few friends (at their house) and share the amazing products Thirty One has to offer? You get to hang with the girls, and make money at the same time. How fun, right? Now, we all love a good deal right? So if you just want to shop this holiday season and get a 25% discount… go for it. You will have these great products to start off the gift giving and then you can buy some more personalized products for those difficult people on your list. We all have them. 🙂 Who knows, you may even be able to help some friends do some of their shopping as well. Yes, I know it is only Thursday but I am sure you are already planning for a long holiday weekend, right? This post was originally written back in 2013 (when I was a newbie to blogging). Growing up on the Jersey Shore, Memorial Day weekend was filled with mixed emotions. It was the start of the summer season which meant the “bennies” (or shoobies as we called them in South Jersey) would be invading for the next few months. In high school, I worked at Kohr’s at Third Avenue so this was the first BIG weekend we got to work. Typically, we started working on weekends when it was nice around Easter. This was the weekend we were able to reconnect with old friends who came home from college or those who traveled to work for the summer. We enjoyed days on the beach and long nights on the boardwalk – working and hanging out with friends. The summer traffic was never really thought about nor did we really think about the people invading our beaches. Fast forward to my mid-20’s when I moved to South Jersey – living just outside of Ocean City and working in Atlantic City. I came to dread this weekend. No longer did it hold the joy of traveling to the beach and long nights of hanging on the boardwalk. Now it was filled with shoobies/ bennies who congested the roads and littered our beaches. It made parking impossible. The joy of the summer was replaced with dread. Honestly, we spent more time at the beach from Easter to around the middle of June then we did the entire summer. Those were the days filled with sunshine, quiet moments on the beach and only a little bit of traffic mostly caused by locals. Yes, I know it is great for the economy and a definite plus for all of the small businesses in the area. For many businesses, the summer season is what carries them through the long cold winter. As for me, I will wait until the mid-week between now and mid June to enjoy the warmth of the beach and strolls on the boardwalk. Then I will wait, patiently, for the crowds to go home before I head back to the beach. The pool at the complex will be my haven during the day and on an occasional mid-week night, we may travel down to take a stroll on the boardwalk. Last Sunday after we celebrated our wedding anniversary at the Wharfside in Point, we rode along the beach. I will admit, the excitement of seeing the rides going, people walking on the boardwalk and some traffic brought back so many memories. I actually can’t wait this year to enjoy some of the craziness. What are your plans for this weekend at the Jersey Shore? Do you have any tips for avoiding the crowds and still enjoying our wonderful beaches? I would love to hear them.